The Cistercian Maulbronn Monastery is considered the most complete and best-preserved medieval monastic complex north of the Alps. The monastery’s church, mainly in Transitional Gothic style, had a major influence on the spread of Gothic architecture over much of northern and central Europe. The water-management system at Maulbronn, with its elaborate network of drains, irrigation canals, and reservoirs, is of exceptional interest. After their lack of success in building a new monastery at Eckenweiher, land in the Salzach valley belonging to the Bishop of Speyer was donated to a small community of twelve monks led by Abbot Dieter from the Cistercian abbey of Neubourg (Alsace). Here in 1147, they began building their monastery of Maulbronn, under the protection of the Holy See. Nine years later it was taken under the direct protection of the Holy Roman Empire by the Emperor Frederick Barbarossa. 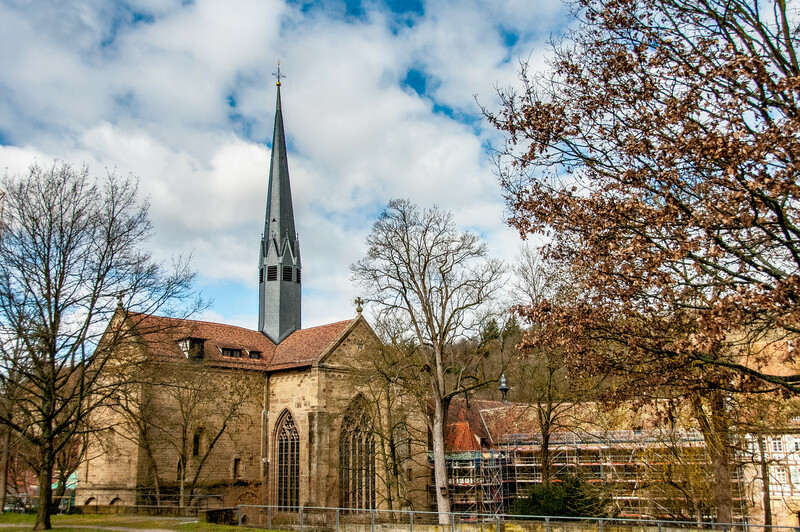 The church was completed in 1178 and consecrated by Arnold, Bishop of Speyer. Over the next century, the temporary wooden buildings of the community were progressively rebuilt in stone. The Reformation was a time of great turmoil, not least for the Monastery of Maulbronn. It was seized in 1504 by Ulrich, Duke of Württemberg, who reformed and secularized it 30 years later, after it had twice been plundered during periods of unrest. Emperor Charles V returned it to the Cistercians in 1547, only for it to be reformed again in 1556 by Christoph, Duke of Württemberg, who established a Protestant monastery school there and allowed private owners to acquire some of the buildings. During the Thirty Years’ War it was once again handed back to the Cistercians by Emperor Maximilian in 1630, but they were to stay only three years, and it finally became a Protestant establishment with the Peace of Westphalia in 1648. The entire church property was secularized by King Friedrich I of Württemberg in 1806 and in the following year it became a Protestant theological seminary, which it has remained to the present day. 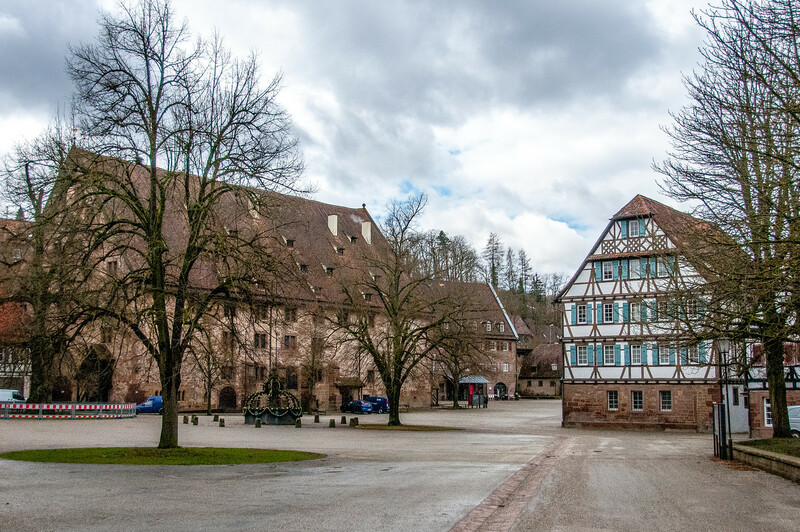 The Maulbronn Monastery is a picturesque monastery located about an hour from Speyer. A former Cistercian monastery I found it highly reminiscent of the Poblet Monastery outside of Barcelona, which is also a Cistercian monastery. The layout of the cloister in both sites is highly similar. In addition to the monastery grounds itself, there are many buildings surrounding the cloister which were also part of the monastery complex and were used by lay members of the order. Today they are used at the town hall, a pharmacy and a restaurant among other things. During my visit in March 2013 the main church was undergoing renovations, but they expected it to be done by the end of the year. 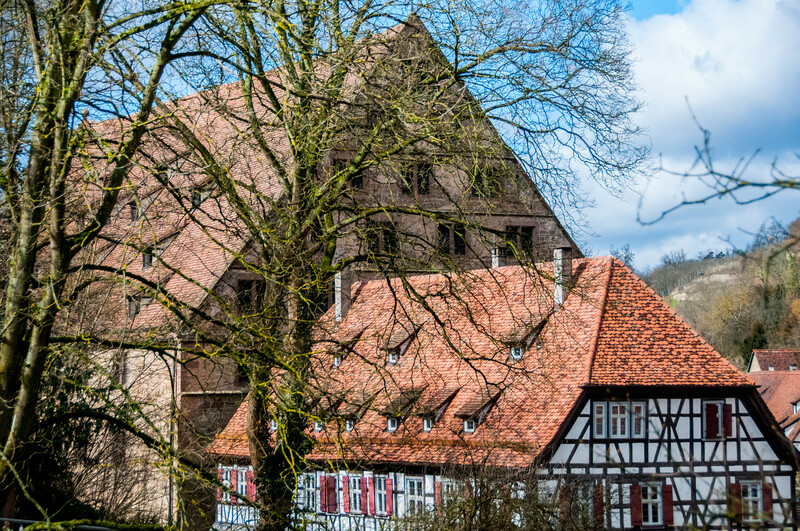 The Maulbronn Monastery Complex is a cultural UNESCO World Heritage Site in Germany. It was inscribed in 1993 and is the most complete surviving Cisterian monastic structure in the continent. It is located in Maulbronn, Germany. The monastery complex is 850 years old. For the most part, it is a Romanesque monastery complex but it was also one of the first few European buildings to introduce the Gothic style. It is currently a pre-Reformation church but it was previously Roman Catholic and Protestant. The Maulbronn Monastery Complex consists of turreted walls and a tower gate. 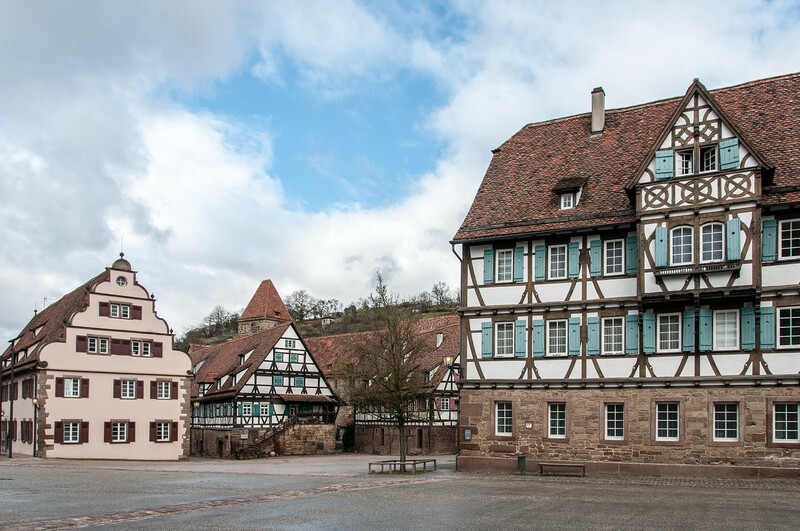 Today, the Maulbronn Monastery Complex also consists of the Maulbronn town hall and administrative offices, along with a police station and a few dining establishments. An Evangelical seminary is also located within the complex, which comes with a boarding school. The most impressive thing about this monastic complex, and part of the reason why UNESCO recognized it as a World Heritage Site, is the fact that the building has been maintained. Aside from the physical building that makes up the monastery complex, the cloistered life that this complex represents is also part of what has been preserved. 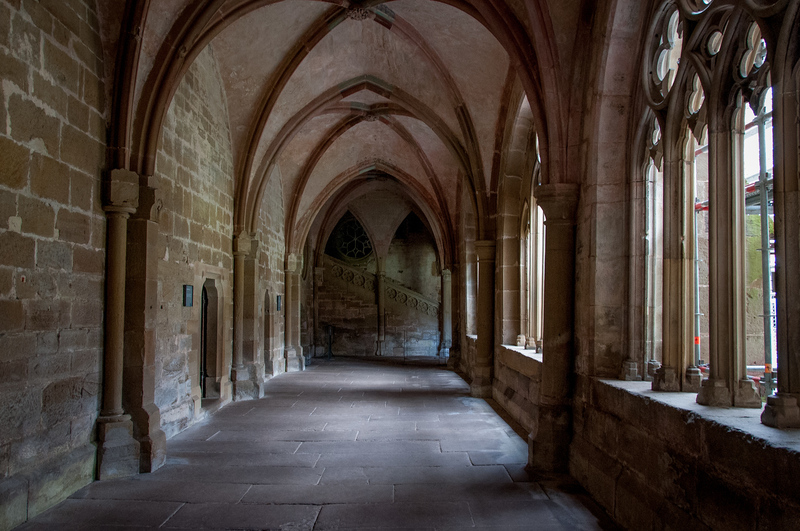 Hence, the Maulbronn Monastery Complex provides a detailed insight into the life and work of the Cisterian order from the 12th century until the 16th century. The courtyard is another important feature in the Maulbronn Monastery Complex. This courtyard is surrounded by towers, living quarters, outbuildings, and a defensive wall. The cloister, together with the portico and the refectory, has been around since the early 13th century. The oldest structure in the complex is the triple-naved basilica. It was consecrated in 1178. Meanwhile, the monk’s chancel consist of 92 seats for the 15th-century choir stalls. The grounds of the monastery complex also consist of various facilities that were used to service the entire complex. On top of the structures that form this complex, the water management system and agricultural fields that surround it are also notable features that add to the cultural heritage of the monastery complex. The Maulbronn Monastery Complex also houses a school for classical language. This school is noted for having students like astronomer Johannes Kepler, author Hermann Hesse, and poet Friedrich Holderlin.